I’m currently doing my last preparations for a 25 days skiing trip across Nordryggen in Norway. It will of course depend on weather, snow conditions and blisters, but hopefully the conditions will be bearable. Norway has a great network of 500 cabins maintained by the Norwegian Trekking Association. The longest connected cross country skiing track I’ve found is around 500 km, - how to map it? The map we're going to create with QGIS and CartoDB. Data from the Norwegian Mapping Authority. Nordryggen (“the north ridge”) is a fairly new name of the 1,700 km mountain range that runs through the Scandinavian Peninsula. 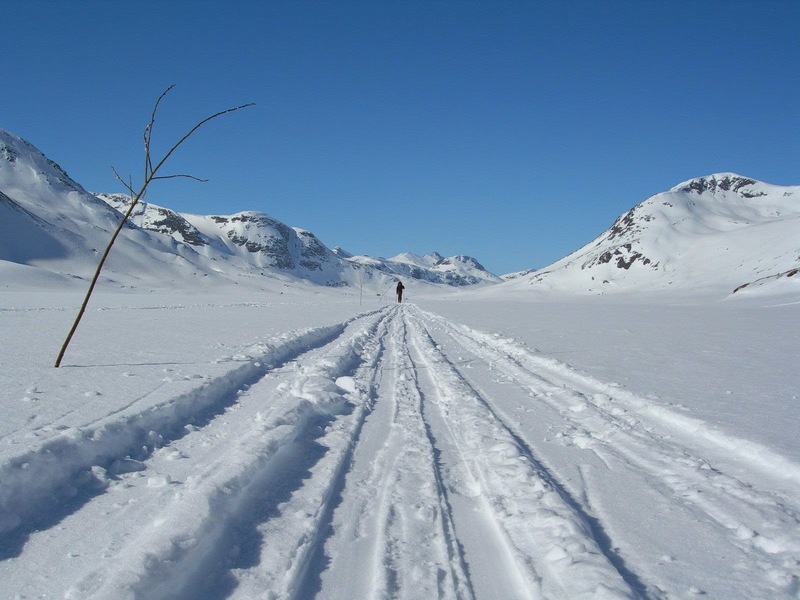 My plan is to ski around 500 km in the southern part of Norway, most of it above the tree line. In return I got 4 shapefiles for ski routes, hiking trails, bike trails and POIs. Click “OK” and “Connect”. 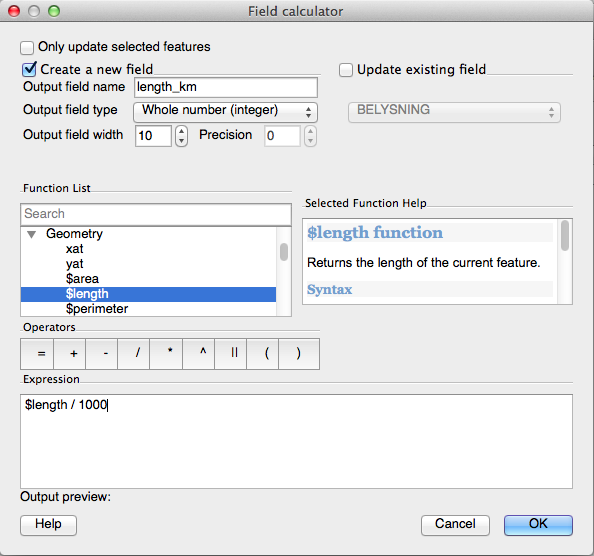 You will now get a long list of layers in different map projections. 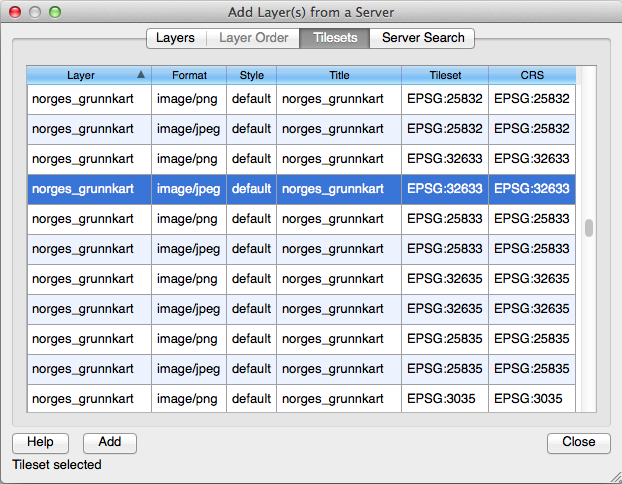 I recommend using “norges_grunnkart” or “topo2” (detailed) in ESPG:32633 (UTM 33). Click on “Add” and you should see a topographic map of Norway. Now you can add the shapefile, and the ski tracks will show on top. 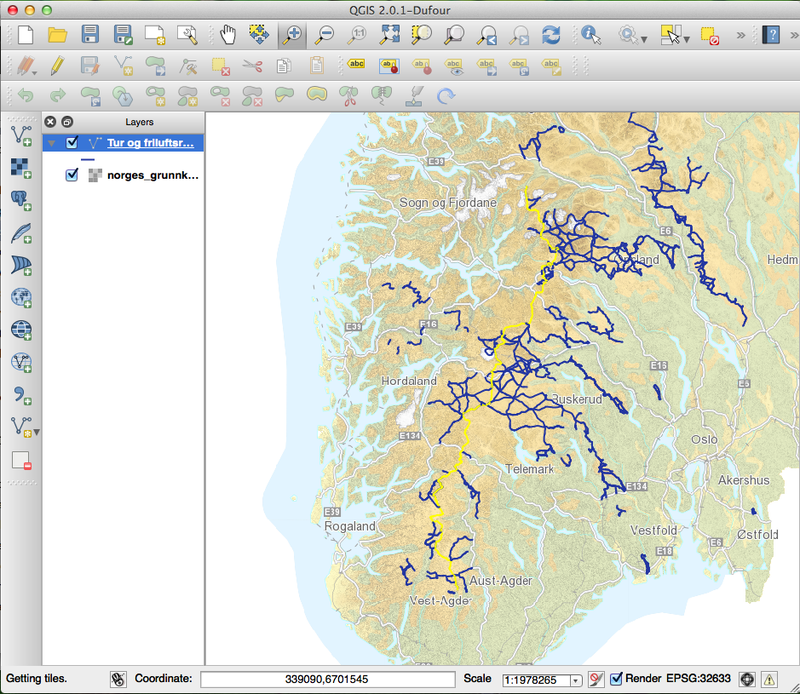 Waymarked ski routes shown in QGIS with my route selected between Sota Sæter and Ljosland. I selected the track segments I plan to follow, and saved the selection in a new route shapefile. I want to have the route as a continuous line with the coordinates in order, as this will allow me to use it for navigation with my GPS unit (see my next blog post). I'm using the "Join multiple lines" plugin to get the desired result. 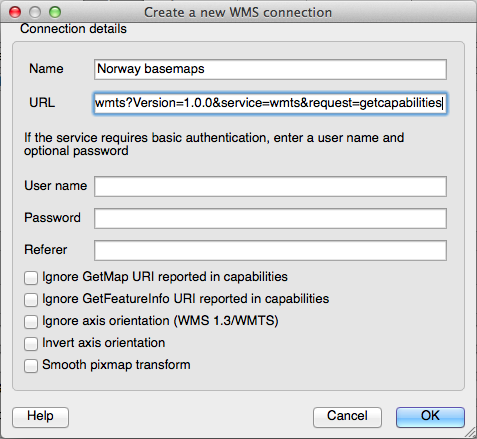 Installing plugins is very easy with the QGIS Plugin Manager. 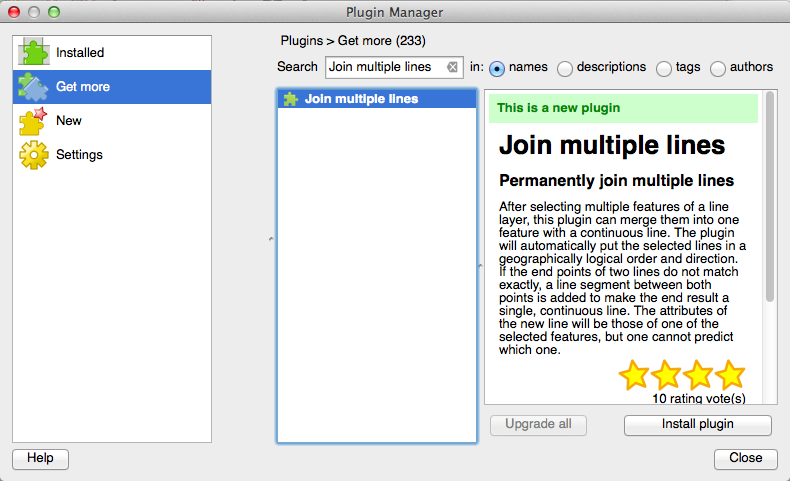 After installation, you'll find the "Join multiple lines" plugin in the Vector menu. This outputs a length of 505 km. Let's move on to CartoDB to create the route map. 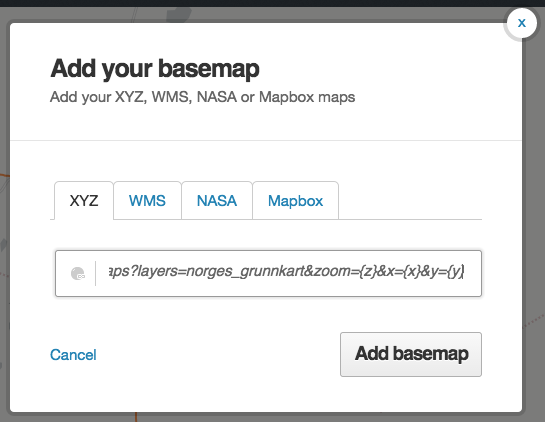 First, I'm uploading the zipped route shapefile to CartoDB. I've also created a table with the cabin name and positions along the route. All data is available on GitHub. Map data from the Norwegian Mapping Authority.